A food hub run by ranchers and farmers in southcentral Montana is seeing the payoff of roughly three years of preparation. The Yellowstone Valley Food Hub recently released its first box of locally-grown meat and greens for pick-up in Billings. 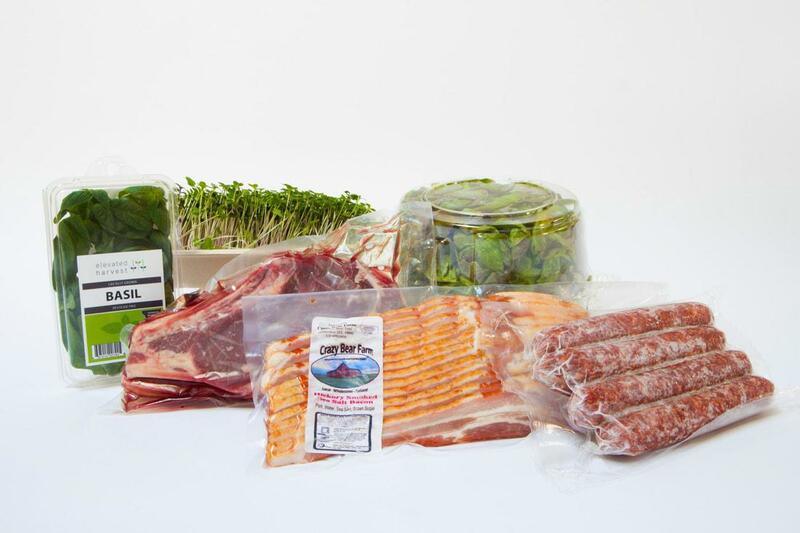 The box options included meats like lamb or steak and vegetables like basil or lettuce. There’s a greens-only choice, too. It’s part of the first “preview” box, which will determine the boxes to come. Annika Charter-Williams, the food hub’s interim chair, said that adjustment period is part of the process. She said they’ll respond to the feedback they get after this first kick-off basket. Customers were able to pick up their first box Saturday at a farm southwest of the city. There is another box scheduled for pick-up December 22, 2o18. Ox Pasture features local big sky flavor. For Executive Chef Chris Lockhart, seasonal produce and products from the environs around Red Lodge shape his menu planning. Local bounty plays the starring role backed by flavors and food from afar. Contributors to the local offerings include Laurel Farmers Market, owned by Leslyn and Greg Johnson. Even more, “local” also applies to the strong community support, filling the restaurant with eager patrons who have become regulars at the popular restaurant.